Tralee Rowing Club in association with Pieta House challenge the present Guinness World Record of 1,436 people dressed as nuns in one place at a given time. This will be a fun family friendly event, everybody welcome young & old. This fun event is part of the annual Féile na mBláth Park Festival. 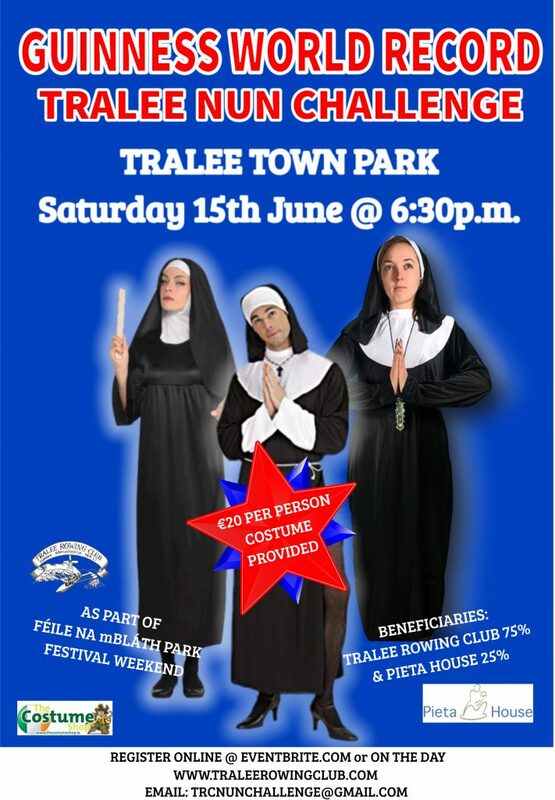 This is a fun fundraising event which will be held in the town park, Tralee on Saturday 15th June at 6.30pm. Get behind Tralee Rowing Club & Pieta House and together we can smash this record. 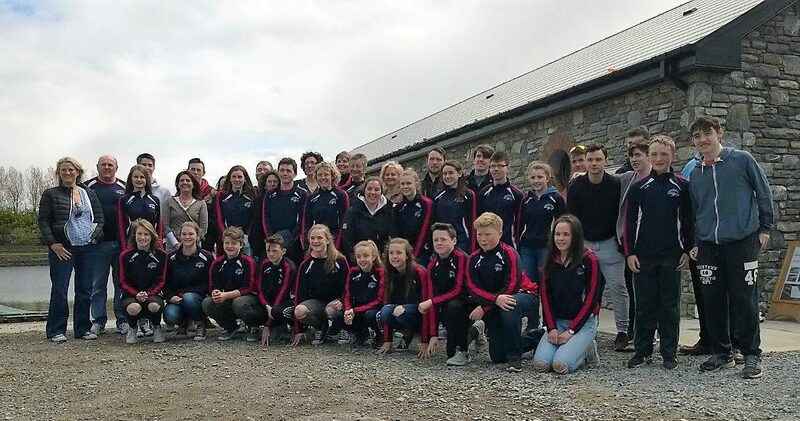 Tralee Rowing Club, Cumann Ramhaíochta Thrá Lí, was officially founded in September 2005 by Mary Bonner and Ed Sheldon. The Club is located at the basin end of the Ship canal and is the only rowing club of its kind in North Kerry. It has grown over the years into a Club of over 100 members and caters for people of all ages, both competitively and recreationally.